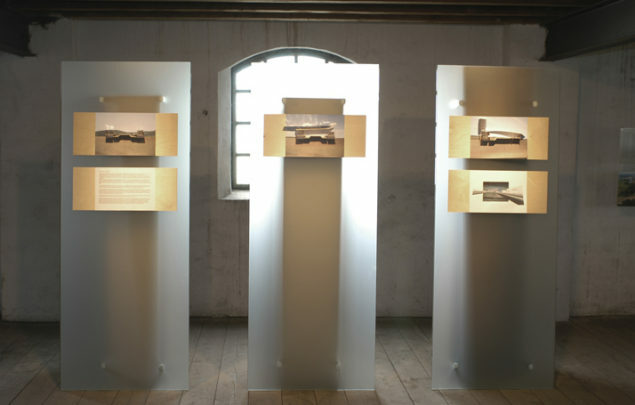 The Art and Culture Foundation Gelderland organized an exhibition on architecture and landscape planning in the Achterhoek area, entitled Archipuncturale 04. 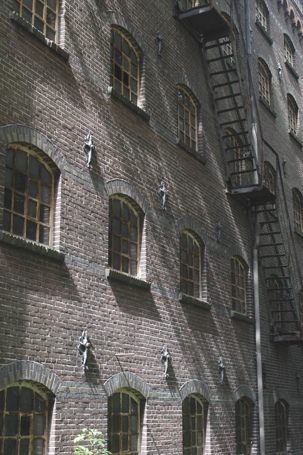 Its topic was new ideas for structuring the farmland in the Oude IJssel area, including attention for its cultural and industrial heritage. The Foundation invited fifteen architects and artists to present their vision for the future redesign of the area. 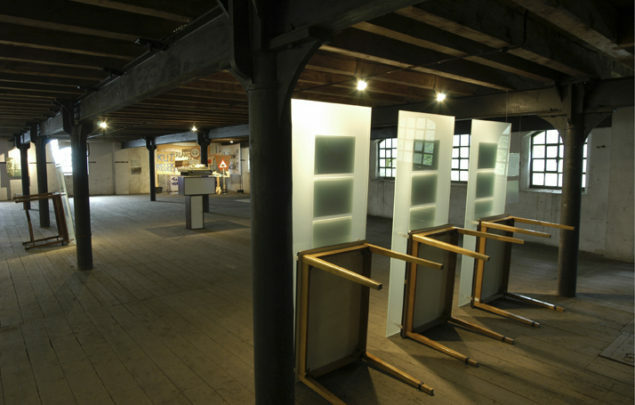 These were exhibited in the former DRU foundry in Ulft. Soda was asked to shape the exhibition, taking people's personal heritage as a starting point. Through local papers, people living in the area were asked to turn in unwanted furniture for the exhibition, thus involving them actively in its preparation. 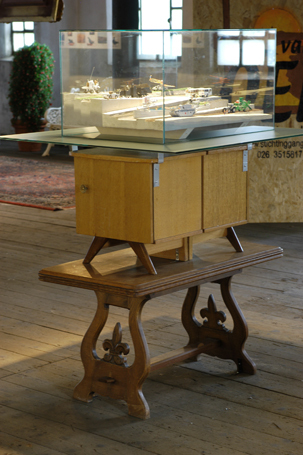 Tables and closets were used as the base for the exhibition items. Chairs were used for the symposium. Frosted glass plates were added as a bottom for the objects on exhibition, literally to separate the old from the new, but still hinting at the underlying supporting furniture.